The Charter grants immigrant minorities the collective right to affirm their cultural identity but Canadian society has been indoctrinated to believe that EuroCanadians should never affirm their common cultural rights. This double standard will end once EuroCanadians realize that the Charter, and the very intellectual foundations of multiculturalism, are consistent with white identity politics. 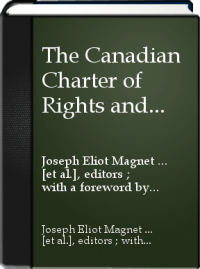 This means that the other sections of the Charter, the "Fundamental Freedoms" of Canadians, their "Democratic Rights," "Mobility Rights," "Legal Rights", and their "Equality Rights", "shall be interpreted in a manner consistent with the preservation and enhancement of the multicultural heritage of Canadians". This is the only explicit statement in the Charter about multiculturalism, but it is quite powerful. Every other section of the Charter shall be interpreted in such a way that they are compatible with section 27. (a) recognize and promote the understanding that multiculturalism reflects the cultural and racial diversity of Canadian society and acknowledges the freedom of all members of Canadian society to preserve, enhance and share their cultural heritage. Canadians have a right "to preserve, enhance and share their cultural heritage". We know that "multi" means many, so the real question is what "cultural" means. The dictionary says that "cultural" means "relating to the ideas, customs, and social behaviour of a society." But since we are talking about "multi-cultural", what the Charter and the Act mean is that the rights of Canada shall be interpreted in light of Canada's commitment to the right of different cultural groups to preserve and enhance the habits, traditions, and beliefs of their groups. Why is "preservation and enhancement" of different cultures important? Answering this question requires an understanding of the theoretical foundations of multiculturalism in Canada. The basic principle of the theory of multiculturalism is that cultural identity matters to humans. Since the culture of old stock Anglo Canadians has already been recognized, what needs preservation and enhancement is the culture of minorities and immigrants. Old stock Canadians should be satisfied with their individual rights, but immigrant minorities also need to have their cultural heritage and identity recognized. The philosophical principles sustaining the Charter and the Act, articulated in a scholarly way by Will Kymlicka, and Charles Taylor among others, but widely spread through Canadian society, are that individuals can never be abstracted from a cultural setting; individuals are always born inside a pre-established culture; and “most people have a very strong bond to their own culture.” Immigrants, and members of minority groups generally, should not be compelled to forego their cultural identity while inhabiting in Canada. The dominant majority culture should provide minorities with the cultural resources to enhance their opportunities for individual success, including policies that end discrimination, affirmative action, and exemption from rules that violate immigrant religious practices. What about the cultural identity of the majority Euro-Canadian population? There is nothing about this culture in the Charter; it is assumed, rather, that this majority population does not need any protections and does not need to be identified as a culture. 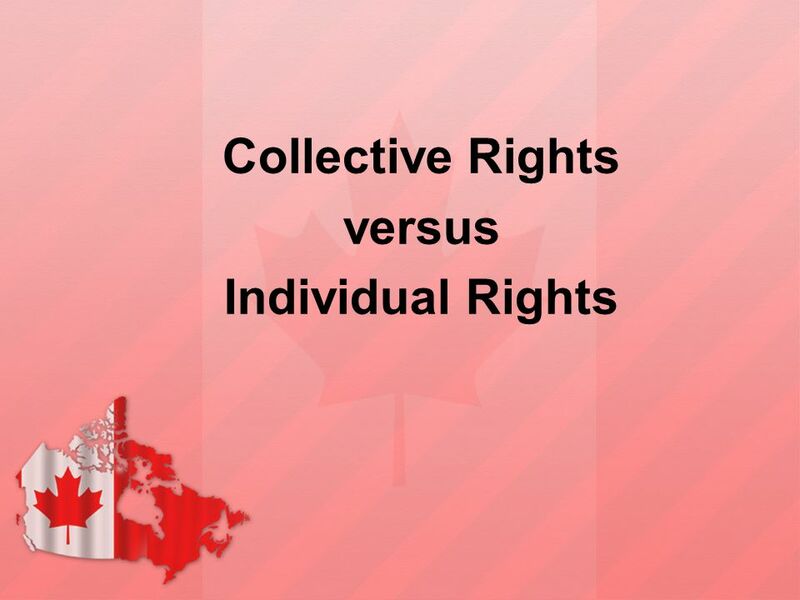 In fact, it is assumed, if only through neglect and silence, that there is no majority culture in Canada other than a culture that promotes individual rights for all Canadians and multicultural rights for minorities. Section 15 (2) of the Charter says that the government has the constitutional right "to create special programs aimed at improving the situation of individuals who are members of groups that have historically experienced discrimination in Canada". The Charter grants special rights to non-European cultural groups that can claim there was, and continues to be, discrimination and lack of opportunities for cultural expression. These minority cultural rights, the theory of multiculturalism says, are not inconsistent with individual liberal rights. They are, rather, the context within which minority individuals can realistically express themselves as individuals. As long as minorities do not violate the rights of individuals through such practices as coerced marriages, female circumcision, or any practice that is inconsistent with integration into a liberal society, the Charter shall recognized their collective cultural rights. The theory of multiculturalism has been thoroughly implemented throughout Canadian society, taught in all the schools, universities, media, and banks. One of the foremost constitutional experts, Joseph Eliot Magnet, brings up the basic theoretical principle of multiculturalism in his extended essay, "Multiculturalism in the Canadian Charter of Rights and Freedoms". While discussing section 27, he says that it is really important "for individuals to belong in a group of people with a similar culture." Social psychologists have demonstrated that the individual self is incomplete without integration into a social group...The ethnic individual completes a significant aspect of personality – forms of self – by voluntary identification with an ethnic group…Attacks on cultural heritage are thus attacks on the individual selves of the ethnic group’s members. Do social psychologists have anything to say about how Anglo Canadian individuals may feel incomplete without integration into their own cultural group? Is Anglo ethnicity a significant aspect of the personality of Anglo individuals? Are attacks on the cultural heritage of Anglos attacks on the individual selves of the members who make up the Anglo group? Magnet does not have a word to say about the majority Anglo population, or the Euro-Canadian population at large. It is assumed that they don't have a culture but are just abstract individuals with rights and with a multicultural culture. Indeed, in the theory of multiculturalism, English Canadian culture is portrayed as a deracinated, neutralized sphere consisting of modern conveniences – economic, educational, and social institutions – intended “in principle” to serve anyone regardless of cultural background. The English are mere possessors of individual rights, whereas every other ethnic group enjoys both individual and group rights. One side of Magnet does not want you to make too much of the group rights the Charter grants to minorities. Section 27, he says, is not a "free standing provision but only an interpretational guide". 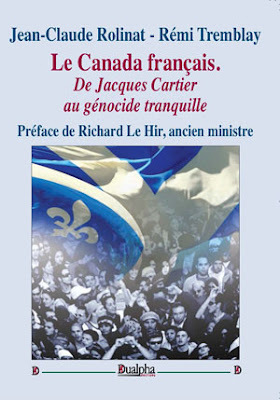 The Charter only grants Aboriginals, the national minority in Quebec, denominational communities, and English and French linguistic minorities, the right to survive as collectivities within Canada's federation. The Charter does not guarantee, in Magnet's words, “maintenance claims" to immigrant minorities, that is, group rights to “maintain intact, indefinitely into the future, the distinguishing features of identity that bind them together as a distinctive society". But another side of Magnet seems to be aware that the meaning section 27 is open to strong collectivist interpretations. Magnet writes about the concept of structural ethnicity, “which refers to the capacity of a collectivity to perpetuate itself…resist assimilation, and propagate its beliefs and practices". He even says that “to the extent the structural ethnicity principle inheres in section 27, a dramatic impact on Canada’s Charter system results". He notes that section 27, after all, “fell into place at the insistence of the ‘third force’—immigrant minorities”. Section 27 “must be taken [as] claims for greater power welling up from ethnic minorities unprotected by historic constitutional provisions", about minorities looking for something closer to “maintenance claims”. He actually says that immigrant minorities could well seek to limit individual rights for the sake of preserving "the essential features" of their cultural identity. Multiculturalism in the Charter could alter the minimum standards of respect for personal liberty…in favour of the special needs of semi-autonomous groups to preserve their special characteristics…[I]t may well come to mean that groups exercising semi-autonomous power may be less respectful of individual rights than government proper, if this is necessary to preserve the essential features of the group’ identity. The meaning of section 27 will be interpreted differently in the coming decades as immigrant groups continue to grow exponentially and continue to form ethnic enclaves across Canada with their own community standards. 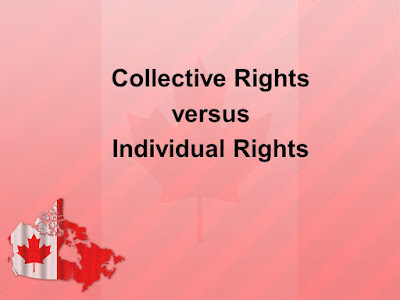 The current situation in which Euro-Canadians are under the obligation of viewing their culture as just a place in which private individuals exercise their rights, without being allowed to affirm their collective Anglo or Euro-Canadian identity, but are instead expected to “understand” the “human need” minorities have to belong in a cultural group, cannot go on much longer. If we are to overcome this double standard, section 27 must be interpreted in a manner “consistent with the preservation and enhancement" of the culture of all ethnic groups in Canada, including Euro-Canadians. The Multiculturalism Act states that "all citizens," including Euro-Canadians, "are equal and have the freedom to preserve, enhance and share their cultural heritage." The founding of Canada by Euro-Canadians is part of this cultural heritage. Insomuch as multiculturalism uses the language of collective rights to guarantee the cultural survival of "minority" groups, it follows that Euro-Canadians have a group right to use multiculturalism to "preserve" their identity as a group in Canada in the face of immigration patterns that are fast reducing them to a minority. The establishment wants to hide this constitutional reality from Euro-Canadians. They want Euro-Canadians to forego their own ancestry while they celebrate the ancestry and history of immigrants. Globalist conservatives want Euro-Canadians to acts as "individuals" without group rights while lamely begging masses of immigrants arriving yearly to "embrace" this individualism. They are oblivious to the fact that immigrants come from collectivist cultures and that second generation immigrants are only assimilating to a deracinated, globalist, diversity-obsessed, anti-white set of nations. They do not understand that current demographic trends will tilt the balance of ethnic power decisively in the favor of groups pursuing ethnic interests in competition with Euro-Canadians. As Asians, Blacks, Aboriginals, Indians, Chinese, and non-Whites generally, express in full their constitutional group rights in ethnic voting patterns and through the creation of associations, clubs, and churches to advance their own group interests, Euro-Canadians will have no option but to assert their constitutional right to engage in "white identity politics".